Start off your visit on the 2nd (Wed): get outside with Northern Passages and Glacier Bay and then see majestic marine mammals with a dolphin and whale watching tour. On your second day here, kick your exploration up a notch at some of the top local zipline courses and adventure parks and then take in the dramatic natural features at Mendenhall Glacier Visitor Center. For other places to visit, reviews, where to stay, and other tourist information, refer to the Juneau visit planning tool . Manchester, UK to Juneau is an approximately 19.5-hour flight. The time zone difference moving from Greenwich Mean Time to Alaska Standard Time is minus 9 hours. Traveling from Manchester in October, things will get little chillier in Juneau: highs are around 11°C and lows about 3°C. Wrap up your sightseeing on the 3rd (Thu) to allow time to travel to Hanalei. Hanalei is a census-designated place (CDP) in Kauai County, Hawaii, United States. Start off your visit on the 4th (Fri): take in breathtaking views at Waimea Canyon State Park and then admire the majestic nature at Na Pali Coast State Park. On the next day, take an unforgettable tour with a helicopter tour and then add some adventure to your tour with a kayaking and canoeing tour. For maps, more things to do, other places to visit, and other tourist information, refer to the Hanalei day trip planning site . You can do a combination of flight and taxi from Juneau to Hanalei in 12.5 hours. Traveling from Juneau to Hanalei, you'll gain 1 hour due to the time zone difference. Traveling from Juneau in October, things will get much warmer in Hanalei: highs are around 34°C and lows about 27°C. Cap off your sightseeing on the 5th (Sat) early enough to travel to San Francisco. San Francisco is known for nature, museums, parks, nightlife, and shopping. Your plan includes some of its best attractions: take in the views from Golden Gate Bridge, get curious at Exploratorium, take a leisurely stroll along Fisherman's Wharf, and take a stroll through SoMa. To see other places to visit, photos, more things to do, and tourist information, use the San Francisco trip planning site . You can do a combination of taxi, flight, and subway from Hanalei to San Francisco in 8 hours. Another option is to do a combination of taxi and flight. The time zone changes from Hawaii Standard Time to Pacific Standard Time, which is usually a 2 hour difference. Plan for slightly colder temperatures traveling from Hanalei in October, with highs in San Francisco at 26°C and lows at 15°C. Finish up your sightseeing early on the 8th (Tue) so you can go by car to Yosemite National Park. 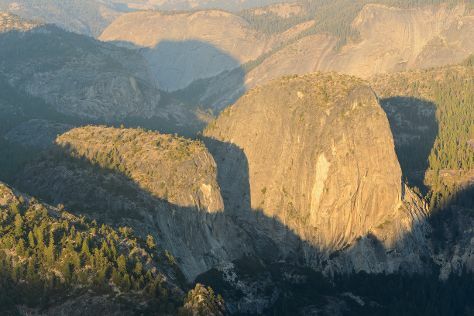 Explore hidden gems such as Glacier Point and Olmsted Point. There's much more to do: get great views at Tunnel View, take a memorable drive along Tioga Pass, hike along Mariposa Grove of Giant Sequoias, and take in the dramatic scenery at Vernal Fall. For traveler tips, where to stay, other places to visit, and other tourist information, use the Yosemite National Park road trip app . Getting from San Francisco to Yosemite National Park by car takes about 4 hours. Other options: take a bus; or do a combination of subway, flight, bus, and taxi. Expect little chillier weather when traveling from San Francisco in October: highs in Yosemite National Park hover around 22°C, while lows dip to -2°C. 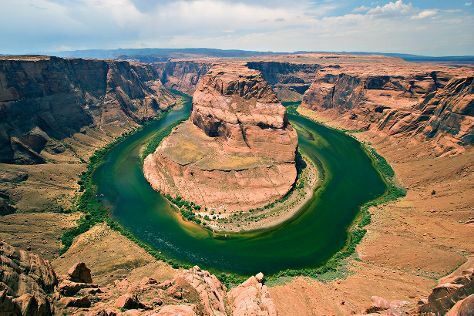 Wrap up your sightseeing on the 12th (Sat) early enough to drive to Grand Canyon National Park. On the 14th (Mon), hike the day away at Bright Angel Trail. The adventure continues: explore the stunning scenery at Grand Canyon South Rim, take some stellar pictures from Mather Point, trek along North Kaibab Trail, and stroll through Rim Trail. To see reviews, ratings, where to stay, and more tourist information, you can read our Grand Canyon National Park tour itinerary maker app . Drive from Yosemite National Park to Grand Canyon National Park in 12.5 hours. Due to the time zone difference, you'll lose 1 hour traveling from Yosemite National Park to Grand Canyon National Park. Expect a daytime high around 22°C in October, and nighttime lows around 0°C. Finish up your sightseeing early on the 16th (Wed) so you can go by car to Page. Kick off your visit on the 17th (Thu): choose your vessel at All In Boat Rentals, then take some stellar pictures from Horseshoe Bend, and then take in breathtaking views at Antelope Canyon. To see traveler tips, more things to do, reviews, and more tourist information, use the Page online sightseeing planner . Traveling by car from Grand Canyon National Park to Page takes 2.5 hours. Traveling from Grand Canyon National Park in October, things will get a bit warmer in Page: highs are around 26°C and lows about 12°C. Finish your sightseeing early on the 17th (Thu) to allow enough time to travel to Yellowstone National Park. 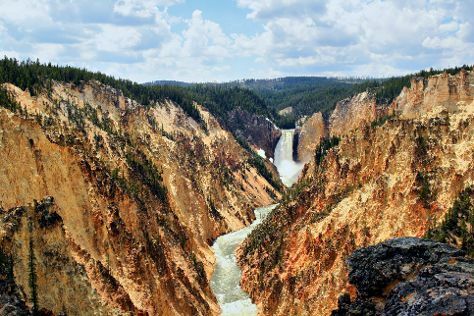 You'll explore the less-touristy side of things at Grand Canyon of the Yellowstone and Lake Butte Overlook. Spend the 20th (Sun) surrounded by wildlife at Grand Teton. Spend the 19th (Sat) exploring nature at Yellowstone National Park. And it doesn't end there: take in the natural beauty of Old Faithful, hike along Artist Point, and contemplate the waterfront views at Yellowstone Lake. Ask Inspirock to suggest an itinerary and make planning a trip to Yellowstone National Park fast, fun, and easy. Getting from Page to Yellowstone National Park by combination of flight and car takes about 9.5 hours. Other options: do a combination of car and flight; or drive. Expect cooler temperatures when traveling from Page in October; daily highs in Yellowstone National Park reach 9°C and lows reach -4°C. Cap off your sightseeing on the 21st (Mon) early enough to travel to Custer. Kick off your visit on the 22nd (Tue): admire the majestic nature at Custer State Park, admire all the interesting features of Wildlife Loop Road, then identify plant and animal life at Windcross Conservancy, and finally explore the striking landscape of Mount Rushmore National Memorial. On the next day, look for all kinds of wild species at Bismark Lake Campground, take in the dramatic natural features at Needles Eye Tunnel, and then explore the activities along Sylvan Lake. Use Inspirock's suggestions to plan your Custer trip and find the best activities and attractions for your vacation. You can do a combination of car, flight, and taxi from Yellowstone National Park to Custer in 7 hours. Alternatively, you can do a combination of taxi and flight; or drive. Traveling from Yellowstone National Park in October, things will get somewhat warmer in Custer: highs are around 16°C and lows about 1°C. Finish your sightseeing early on the 23rd (Wed) so you can travel to Gatlinburg. You'll discover tucked-away gems like Zipline and Parrot Mountain & Gardens. Step out of Gatlinburg to go to Hartford and see River Rafting & Tubing, which is approximately 36 minutes away. Pack the 26th (Sat) with family-friendly diversions at The Island in Pigeon Forge. There's still lots to do: sample the fine beverages at Ole Smoky Tennessee Moonshine, meet the residents at Ripley's Aquarium of the Smokies, and see the interesting displays at Titanic Museum Attraction. For photos, reviews, traveler tips, and other tourist information, go to the Gatlinburg road trip website . Getting from Custer to Gatlinburg by combination of taxi and flight takes about 8 hours. Other options: drive; or do a combination of taxi and bus. You'll lose 2 hours traveling from Custer to Gatlinburg due to the time zone difference. Traveling from Custer in October, expect Gatlinburg to be somewhat warmer, temps between 27°C and 12°C. Finish your sightseeing early on the 26th (Sat) to allow enough time to travel to Key West. 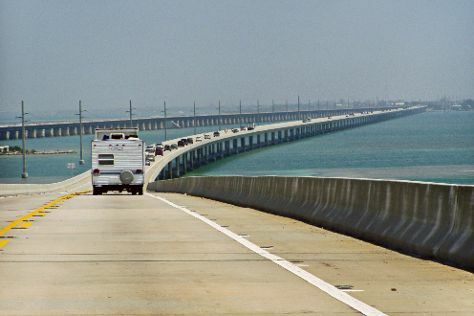 Start off your visit on the 27th (Sun): take a memorable drive along The Overseas Highway, look for all kinds of wild species at Key West Butterfly & Nature Conservatory, and then admire the majestic nature at Fort Zachary Taylor. To see reviews, where to stay, photos, and more tourist information, refer to the Key West online trip itinerary builder . You can do a combination of taxi and flight from Gatlinburg to Key West in 6.5 hours. Other options are to do a combination of car and flight; or drive. While traveling from Gatlinburg, expect somewhat warmer days and much hotter nights in Key West, ranging from highs of 35°C to lows of 29°C. Wrap up your sightseeing on the 27th (Sun) to allow time to travel to New York City. New York City is known for museums, nightlife, shopping, historic sites, and parks. Your plan includes some of its best attractions: don't miss a visit to Central Park, admire the masterpieces at The Metropolitan Museum of Art, take in panoramic vistas at Top of the Rock, and pause for some photo ops at 9/11 Memorial. To see maps, more things to do, reviews, and tourist information, refer to the New York City online attractions planner . Do a combination of flight and bus from Key West to New York City in 6 hours. Alternatively, you can fly; or drive. When traveling from Key West in October, plan for a bit cooler days and colder nights in New York City: temperatures range from 24°C by day to 16°C at night. Wrap up your sightseeing on the 30th (Wed) early enough to travel back home.